Biggest Threats To Your Safety This Holiday Season. Broken Engagement: Who Gets to Keep the Ring (By Law)? One of the first thing a client asks us is, “What is the value of my case?” Essentially, what is my case worth? There are conservative counties and there are more liberal counties. Some counties you get more, some counties you get less. For example, we recently tried a case in the Panhandle and the jury did not award what you would expect in Orange County or even Osceola County for that matter. 1. Was the automobile accident of ___________, the legal cause of injury or damage to Plaintiff? If your answer to question 1 is NO, your verdict is for Defendants and you should not proceed further except to date and sign this Verdict Form and return it to the courtroom. If your answer to question 1 is YES, please answer the following questions. 2. What is the total amount of Plaintiff’s damages for medical expenses incurred in the past and medical expenses to be incurred in the future? 3. Did Plaintiff sustain a permanent injury within a reasonable degree of medical probability as a result of the automobile accident? If your answer to question 3 is NO, please skip question 4 and proceed directly to question 5. If your answer to question 3 is YES, please answer question 4. 4. What is the amount of Plaintiff’s damages for pain and suffering, disability, physical impairment, disfigurement, aggravation of a pre-existing condition, mental anguish, inconvenience or loss of capacity for the enjoyment of life? 5. 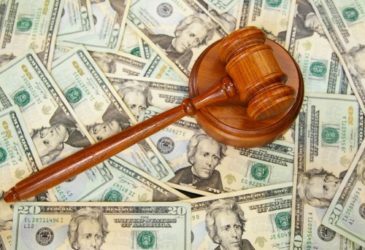 What are the total damages of the Plaintiff,? SO SAY WE ALL this _____ day of __________, 2019. Essentially, the jury instruction allows award for: (1) past and future medical treatment; (2) lost income; and (3) pain and suffering. And that’s it. In sum, we are looking at your medical bills, lost of income due to the injury, and pain and suffering.